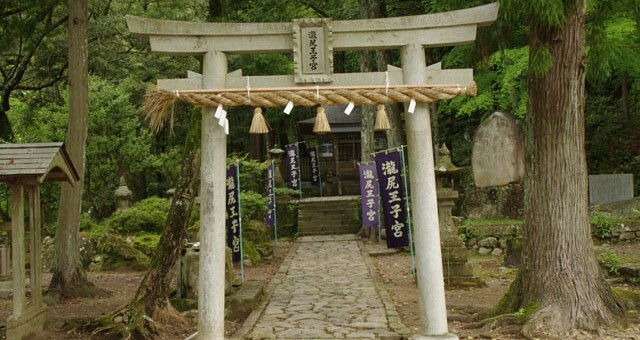 The world heritage site “Kumano Kodo” is a set of pilgrimage trails lead to the holy Kumano Sanzan(three major shrines of Kumano – Hongu-taisha, Nachi-taisha, Hayatama-taisha). 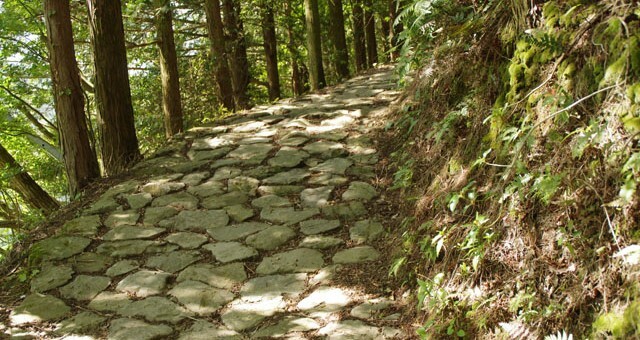 These trails also link to Koyasan, Yoshino and Ise. 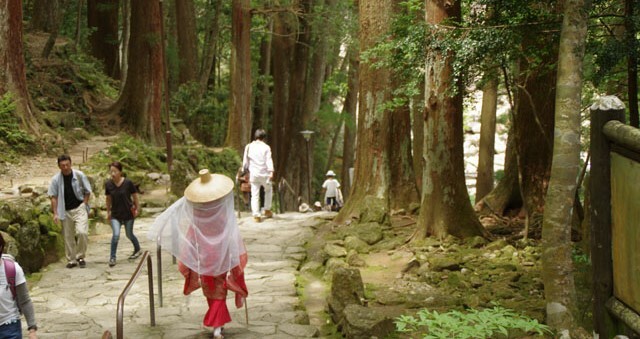 Kumano is the name of region in the southern Kii peninsula, and spans Wakayama, Mie and Nara. 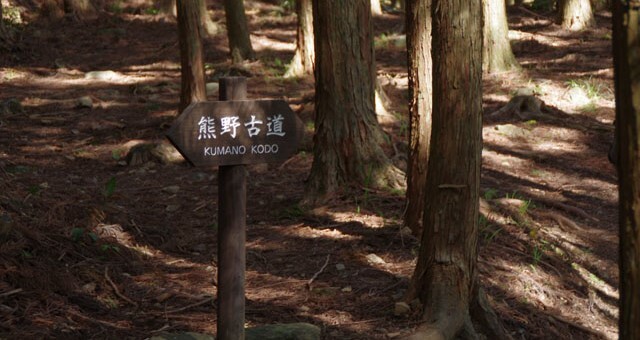 Kodo is old trail in japanese. 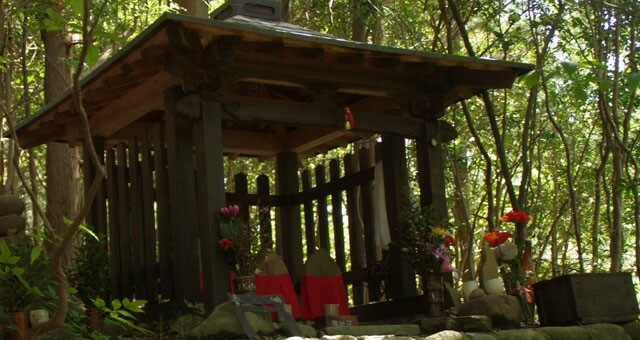 Kumano Kodo is part of UNESCO World Heritage “Sacred sites and Pilgrimage route in the Kii Mountain range” designated in 2004…. 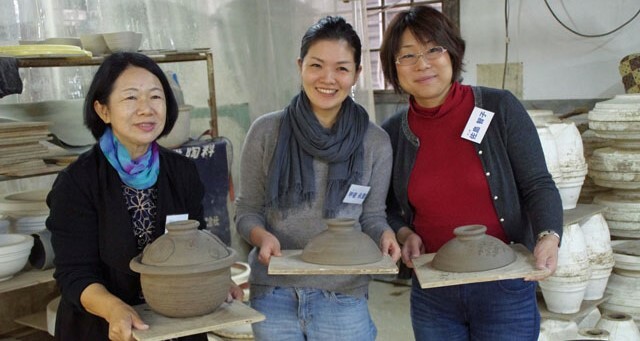 This is one of two pilgrimage routes in the world designated as a UNESCO World heritage site. 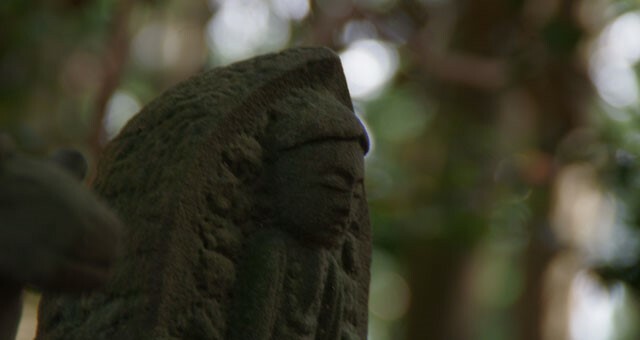 The other being Camino de Santiago de Compostela (The way of St.James pilgrimage) in Spain. 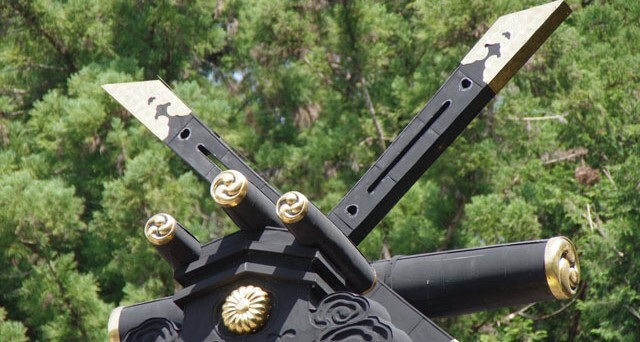 4.Iseji – Eastern route reads to Ise-city. 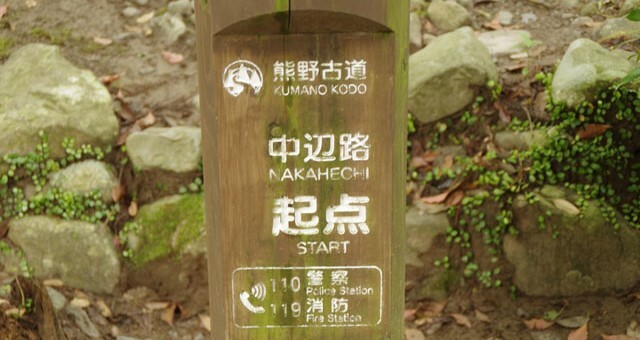 5.Omine-okugakedo – This route is for Shugendo training, the trail runs between Yoshino and Kumano Hongu-taisha via Mt.Omine. It’s distance is over 100km through high mountain ridges along the way, the most longest, hardest and dangerous trail. Some parts of area is still prohibited to women. 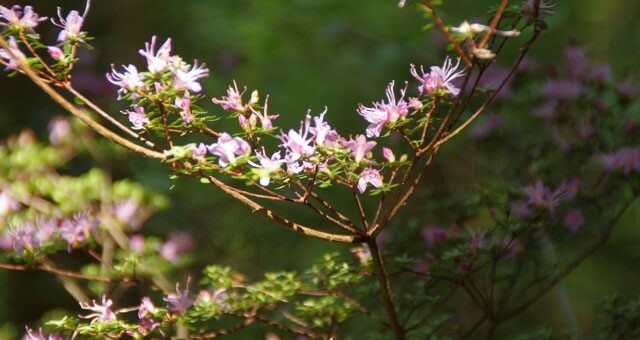 This time I walked a part of Nakahechi route from Takijiri-Oji to Tsuyuchika-Oji during golden week. Distance is 13km, average time is 5-6hrs. Enjoy below pictures and report. 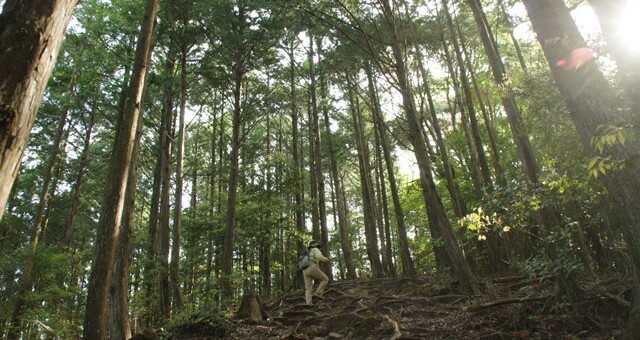 Most of trail between Takijiri-Oji and Chikatsuyu-Oji is like this, moutain pass and stone paved route. travellers. 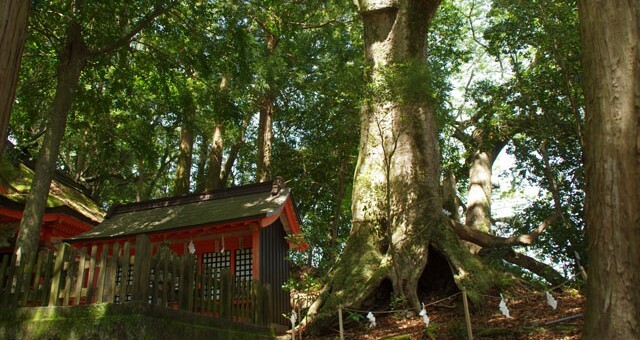 Takahara kumano shrine and big tree. 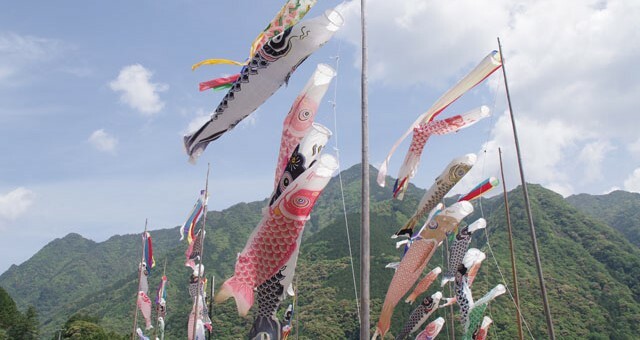 You never lose your way, there are a lot of signs in Japanese and English. 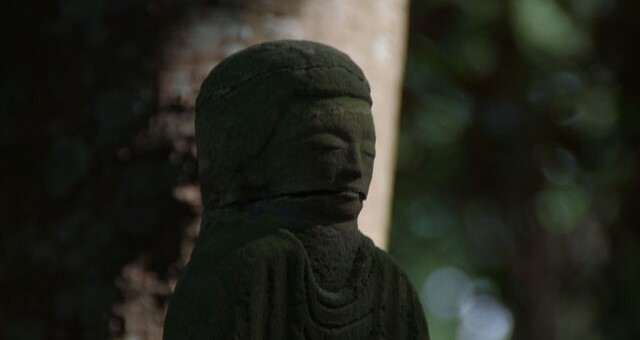 Stone statue of Gyuba-doji near Chikatsuyu-Oji. 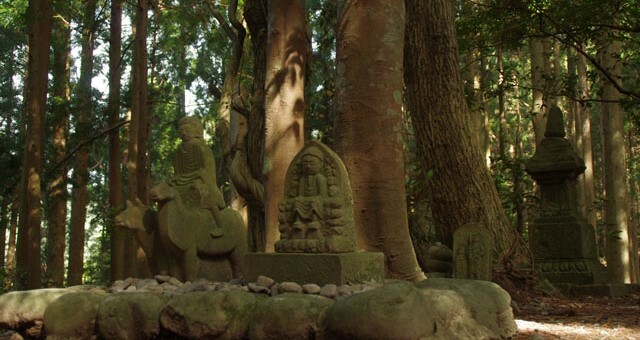 A boy riding cow and horse – symbol of Nakahechi route. 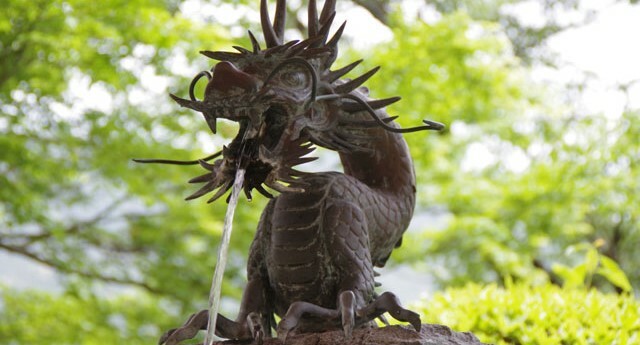 Water from dragon mouth – wash our hands to prify our selves before worshiping at the shrine. 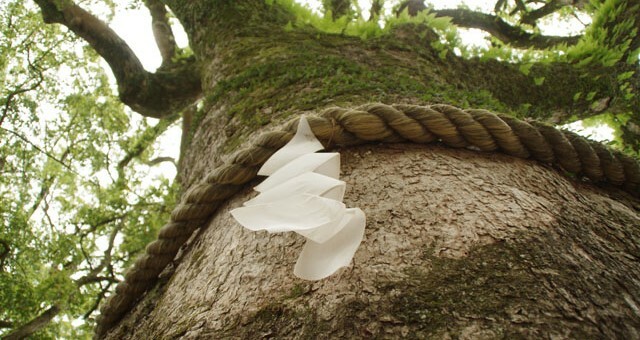 Big tree(kusunoki) more than 800years old. 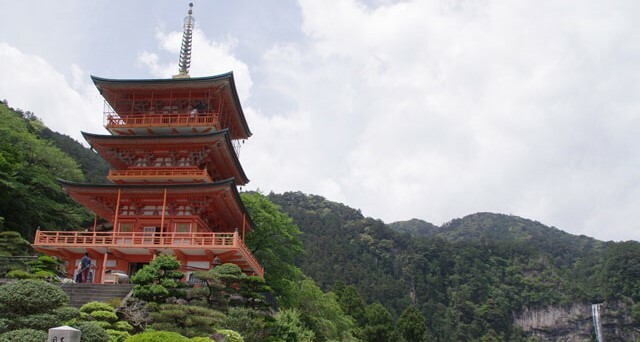 Red three-story pagoda and Nachi fall. 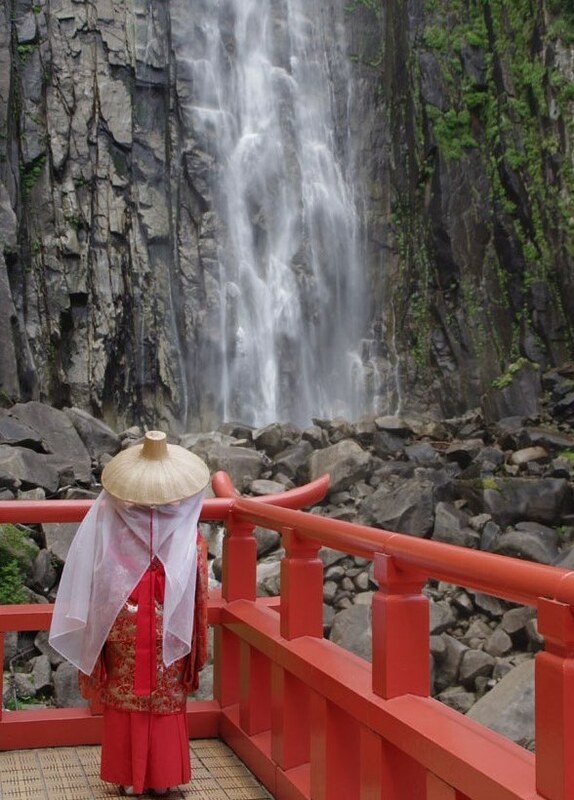 Traditonal Heian costume in Kumano are, you can rent set of cstume around yen3000.